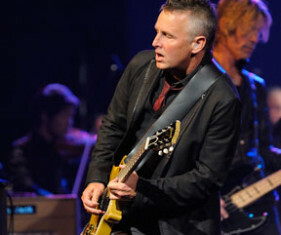 McCready was born in Pensacola, Florida, but moved to San Diego as a baby and then to Seattle at the age of four. His first band was called Warrior, followed by Shadow, with which he moved to Los Angeles in an unsuccessful bid at rock stardom. Thoroughly fed up with the music business, McCready was back in Seattle working at an Italian restaurant and attending community college classes when he began jamming with middle school acquaintance Stone Gossard on the material that eventually became the first Pearl Jam album.